Veterinarians, shelter staff, volunteers and the animal loving public are raving about Maddie's Fund® webcasts. 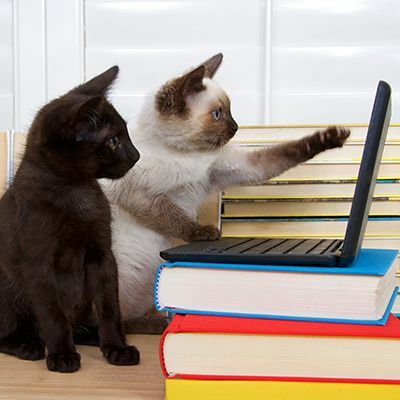 More than 39,000 animal welfare enthusiasts have watched noted academics, shelter medicine experts and industry leaders deliver the most current information on topics such as anti-body titer testing, ringworm, community cats, social media for animal shelters and more. Most webcasts offer RACE CE for veterinarians. "These webinars are bringing us the best and most current information in the field of animal welfare. As a 17-year veteran in the field, I wish I had this learning advantage when I first started...it would have saved so much learning by error! This is such an important contribution to our shelter and much appreciated. Thank you." Shelter veterinarians are a powerful source of experience, knowledge, training and insight that can guide animal shelters to improvements in every area of animal care. This webcast will take a comprehensive look at the benefits of giving a veterinarian a policy-making role in shelter operations. Learn why fear is the worst thing a social species can experience, and how it causes permanent damage to the brain. Can cats who are shy and fearful in the shelter still get adopted? Yes, says board certified veterinary behavior specialist Dr. Sheila D'Arpino. Feline behavior while in a shelter is not always a good representation of that same cat's behavior in less stressful surroundings. Proper housing, handling, and, if needed, behavior modification can turn that hissing and hiding cat into a beloved family pet. Introducing Maddie's® Pet Assistant, a FREE app developed by Maddie's Fund® to follow up with adopters and foster caregivers once a pet is placed in their new permanent or temporary home. Learn how the Care to Adopt (for strays) and Care to Rehome (for owned cats) Programs help get cats into new homes without a shelter stay, and include low cost spay/neuter and vaccinations to those adopters. 20171012 Webcast webcast URI in Shelter Cats: It's Snot Inevitable! Your data is a powerful tool for decision making. We partner with Shelter Animals Count and Humane Dash to bring you charts and graphs of your data, fast! Do you have questions about Maddie's Fund® Innovation Grants? During this informative webcast, you will hear a brief overview of the Innovation Grants, Maddie's Fund Grant Portal, and the application process. 20180816 Webcast webcast Join the #GetEmHomeChallenge! Learn how to prevent distemper outbreaks in an animal shelter, how to recognize the disease in its earliest stages, and what to do in response to an outbreak. Everyone wants to make sheltered life better for dogs while they wait to get adopted. Learn what works and what doesn't in this webcast. Last year saw communities across the country devastated by hurricanes, wildfires, and mudslides. That leaves a simple question for every animal organization: Do you have a disaster plan? If the answer is no, or if you do but you're not sure it's up to date, please join us and the Association of Shelter Veterinarians (ASV) for The Shelter's Role in Disaster Response with Dr. Elise Gingrich, Supervising Veterinarian at Larimer Humane Society in Fort Collins, CO.
20170525 Webcast webcast House Fewer Cats, Save More Lives, Make Everyone Happy! When Avian Influenza H7N2 infected cats in a New York City animal shelter, it was the first outbreak of its kind, and the first documented case of cat-to-cat transmission. Learn about the response and the outcome for the cats that were infected. This webcast delves into the research leading to an evidence-based path that will help you conduct a more productive meeting. This webinar outlines research-based protocols that are in use at the San Francisco SPCA and examine how those same concepts apply to a variety of different shelters and rescues. Learn about the feasibility of treating symptomatic parvovirus dogs in a twice-daily outpatient setting while minimizing the risk of infection to other dogs in a shelter environment. Whether you're looking to start a foster program at your shelter, or give a boost to an already-existing foster program, Maddie's Fund has a webcast series for you! How can veterinarians and animal shelters understand the pros and cons of spay/neuter and determine the most appropriate age to perform these surgeries in male and female dogs and cats? The lack of access to care is the most significant animal welfare crisis affecting owned pets in the United States. Learn more about this important issue in this webcast.